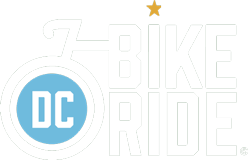 DC Bike Ride is proud to have the Washington Area Bicyclist Association (WABA) as the non-profit beneficiary of the event. WABA is a founding partner of the DC Bike Ride and has worked hard since the beginning in 2016 to make this event a success. WABA is the local bike advocacy and education non-profit in Washington, DC, Maryland and Virginia working to make bicycling better. DC Bike Ride has donated more than $100,000 over the past three years to WABA’s work to make streets safer for all. More about WABA’s work: Safer streets require a change in the way we design our roadways, the rules of the road, how we enforce the rules, and the data cities collect to measure safety. Vision Zero is a system-wide effort to end traffic-related fatalities and serious injuries for all road users. Our region has been watching Vision Zero play out in major cities across the country, and it has been clear DC was missing a vital piece: community engagement. We can’t design a comprehensive campaign to change culture without involving and empowering people. WABA’s grant support from DC Bike Ride will provide funding for the capacity to design and implement the necessary community outreach surrounding Vision Zero, and activate all eight wards. WABA’s Vision Zero Summit brings together D.C.’s residents, experts, and the press for a series of presentations, a panel discussion, and facilitated town hall meeting with emphasis on engaging nontraditional community groups. The third annual Vision Zero Summit is took place on March 14, 2019. Learn more here! To equip families with the information and tools to redesign the streets that shapes their lives the most—those surrounding their homes—WABA will build partnerships with neighborhoods to define what makes streets safe, identify what projects need to be carried out, and form a plan of action to work with DDOT and partner agencies. WABA will select the neighborhoods based on areas of greatest need. WABA will host interactive public workshops similar to the safety audits, except geared toward a geographically broader audience. Learn more about Vision Zero on WABA’s website HERE. Learn more about WABA and support better bicycling by becoming a WABA member HERE.